PEEP*ACCESSORIES is a family-run business featuring lovely accessories designed to bring a smile to your face & add a dash of fun to your wardrobe & home. This online accessories boutique includes a line of sachets that are hand-knit & crocheted. They are available in wonderful scents, such as cupcakes, candies, & Christmas treats. The sachets make stand-out gifts, too. These crafty gals also create the cutest zipper pouches and tote bags. And don't miss the signature PEEP pouch! *GIVEAWAY - Closed - Congrats Oksana! 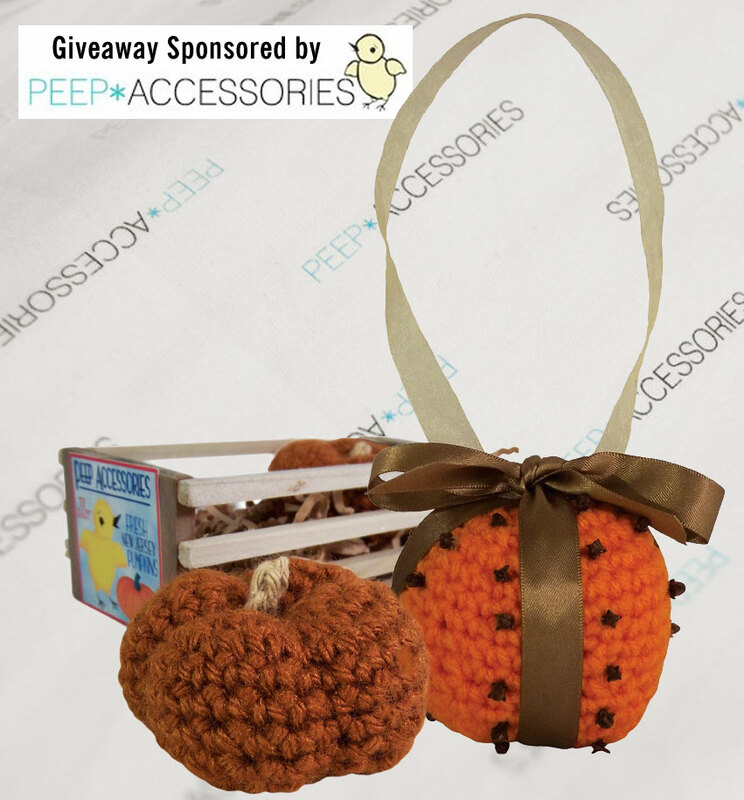 PEEP*ACCESSORIES is giving away one crate of pumpkin sachets & one orange pomander sachet (pictured). To enter, visit PEEP*ACCESSORIES & leave a comment on this post noting your favorite item. 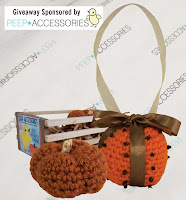 For an extra entry, "like" PEEP*ACCESSORIES on Facebook, then leave a comment noting you have done so. Giveaway ends at 9pm EST, Sunday, December 12. Holy moly, I love this stuff! At first, I thought the Dottie zipper bag was my favorite. It is a nice mix of vintage but with a modern color theme. Then, I found the caramel apple sachets and I was blown away. What a creative, adorable idea! This would make a great stocking stuff / gift. I'm impressed, ladies! I LOVE the cupcake sachets. How clever! I love the Olga handbag! I love (and own) the Paper Doll Bag. It is so adorable!! i like the cupcake sachets! What a cute site! I love the bags, especially the Dottie. I love the chocolate covered strawberry sachets! I love chocolate covered strawberries! thank you! I like PEEP*ACCESSORIES on Facebook! I love the Classic Peep Olga handbag...it's my fav! And i liked Peep on FB! I'd love to try the carameled apple sachets! Love the Coconut Cupcakes Sachets-yummy scent!